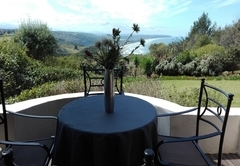 Paradise Cove Country House is one of the Victoria Bay guest houses and provides accommodation in 4 guest rooms for tourists visiting the Garden Route region. 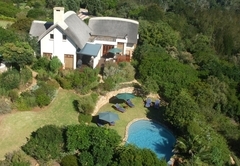 Paradise Cove Country House offers Garden Route accommodation in a nature reserve in Victoria Bay. 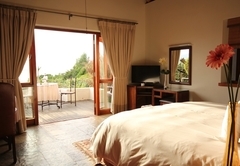 There are breathtaking views of the Indian Ocean coastline, Outeniqua Mountains and the Lagoons. 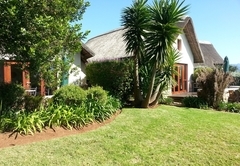 Paradise Cove Country House is a guest house with four thatched roof South African cottages, each with a patio, beautiful views and direct access to the saltwater pool. All B&B rooms have twin or king-size beds, television and room safe. 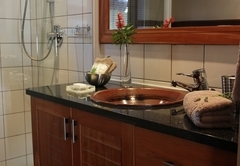 In the bathroom there is a shower, underfloor heating, heated towel rail and hairdryer, bathrobes and pool and bath towels. In the entrance to each room you will find a tray with electric kettle and everything you need to make a cup of tea or coffee and a 45 x 45 cm bar fridge. Free 250MB Wi-Fi per day with option to purchase more online. 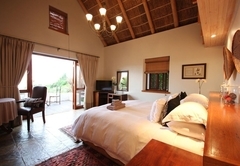 Double room with beautiful view of the Wilderness coastline, King-size bed and en-suite bathroom with shower, a loft with two or three single beds for children. There is a TV with selected DStv, a hairdryer, scale, bar fridge and a coffee/tea station. 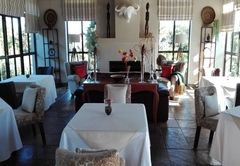 Double room with beautiful view of the Wilderness coastline, a King-size bed and en-suite bathroom with shower, a loft with two or three single beds for children, TV with selected DStv, hairdryer, scale, bar fridge and a coffee/tea station. 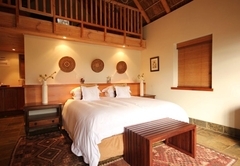 The room with the all around view of the Wilderness coastline, a King-size bed and en-suite bathroom with shower, a loft with two or three single beds for children, TV with selected DStv, hairdryer, scale, bar fridge and a coffee/tea station. 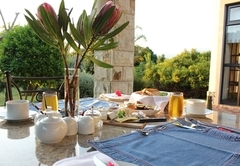 Breakfast is included and there are restaurants nearby where you can enjoy lunch and dinners. 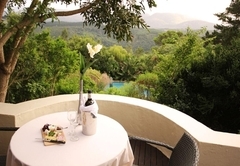 Savour the breathtaking view of the 45km coastline of the Indian Ocean, the Outeniqua Mountains and the Lagoons. 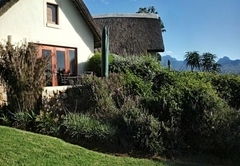 Leisure activities include but are not limited to golfing, sightseeing, whale watching, to mention only a few. 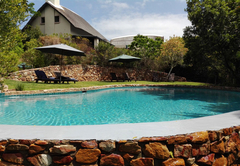 Or you can just relax in our beautiful garden of indigenous plants and trees, and refresh yourself in our 'pool with a view'. 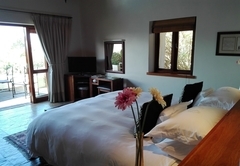 Double room with beautiful view of the Wilderness coastline, King size bed and en-suite bathroom with shower, a loft with two or three single beds for children. There is a TV with selected DSTV, a hairdryer, scale, bar fridge and a coffee/tea station. 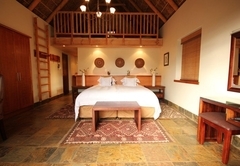 The room with the all around view of the Wilderness coastline, a King size bed and en-suite bathroom with shower, a loft with two or three single beds for children, TV with selected DSTV, hairdryer, scale, bar fridge and a coffee/tea station. Response timeParadise Cove Country House typically responds to requests in 5-10 minutes.